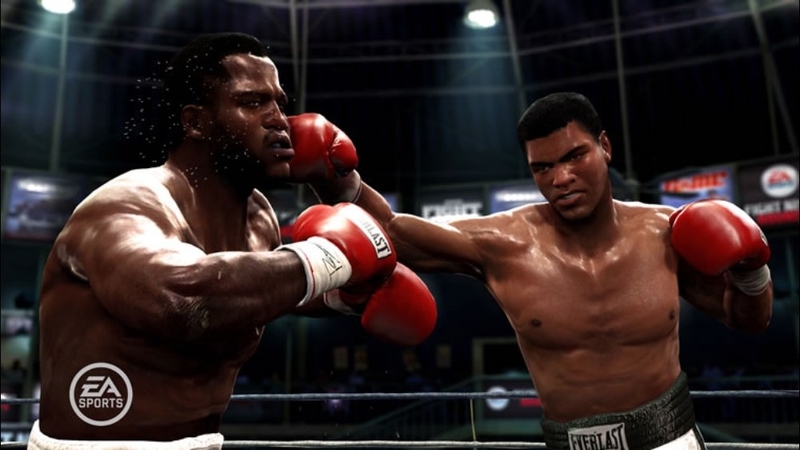 EA SPORTS Fight Night Round 4 is truly the Return of the Champ. 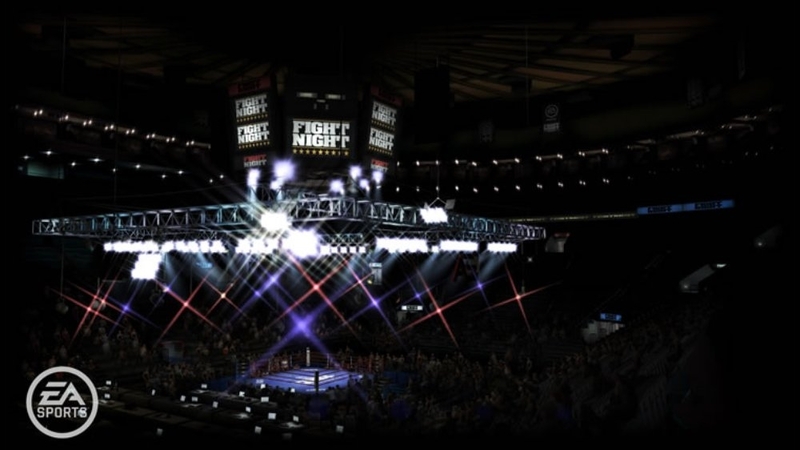 Building off of EA SPORTS Fight Night Round 3, Fight Night Round 4 promises to be equally as ground-breaking and revolutionary. 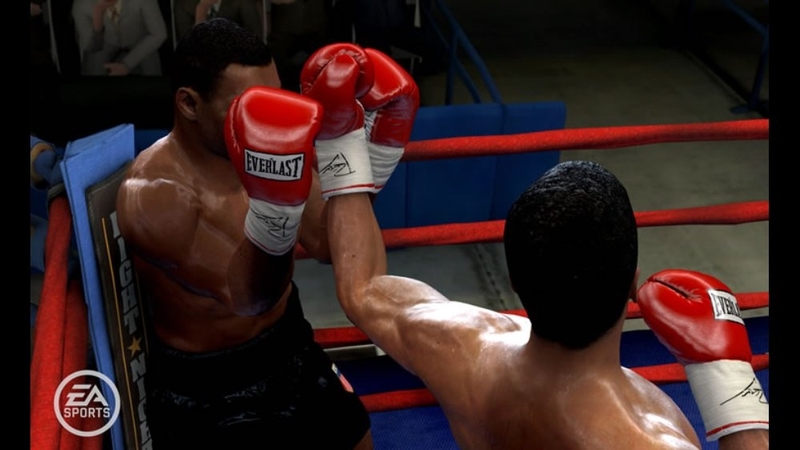 With an all new gameplay engine, truly unique and differentiated boxer styles, and the most impressive boxer roster ever including the debut of the legendary Iron Mike Tyson, EA SPORTS Fight Night Round 4 takes video game boxing and fighting to an entirely new level. 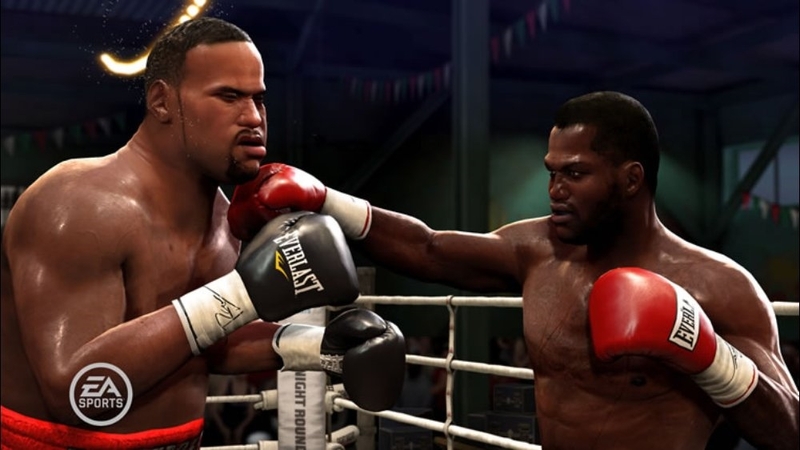 Download the Fight Night Round 4 Champions Pack and get new boxing trunks, boots and gloves. 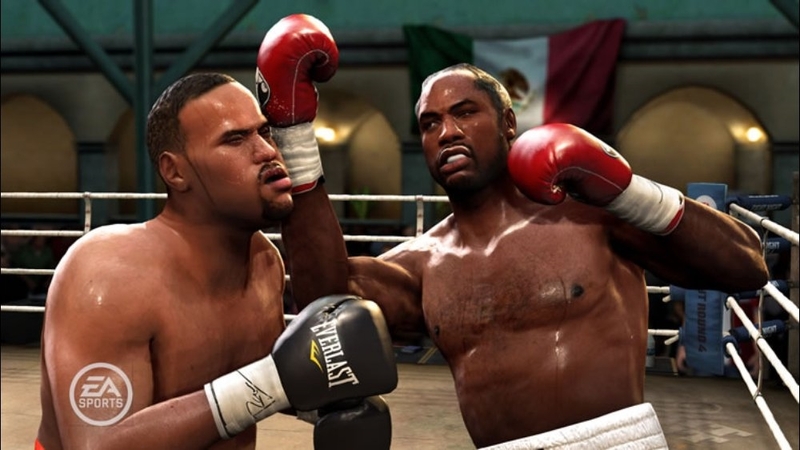 Purchase the pack to unlock new boxers including Oscar De La Hoya, Vitali Klitschko, Wladimir Klitschko, James Toney, and George Foreman. There are no refunds for this item. For more information, see www.xbox.com/live/accounts. The Free Gear Pack gives you immediate access to over a dozen different & new accessories, including new gloves, boots, and trunks. 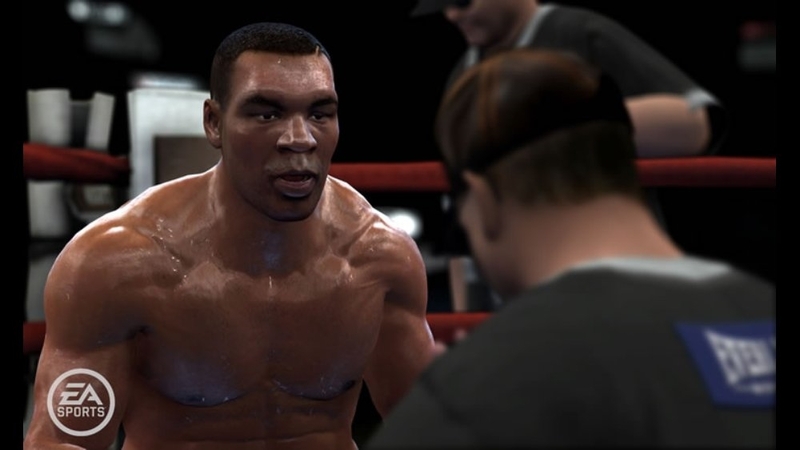 EA SPORTS Fight Night Round 4 is truly the Return of the Champ, with an all new gameplay engine, truly unique boxer styles, including the debut of the legendary Iron Mike Tyson, EA SPORTS Fight Night Round 4 takes video game boxing and fighting to an entirely new level. 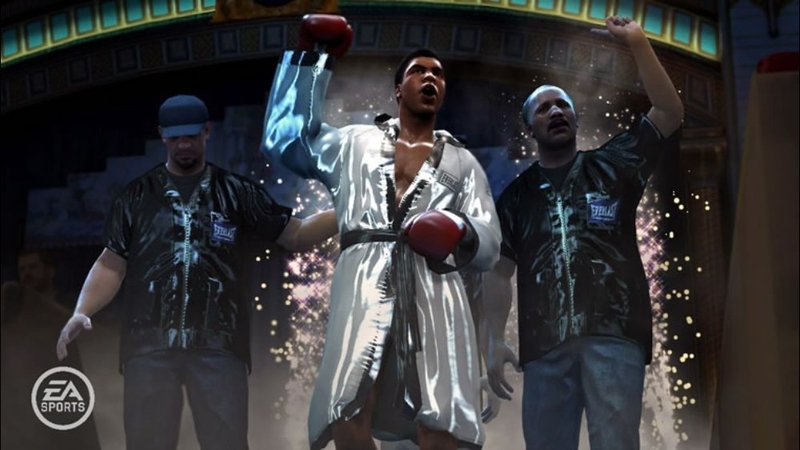 Relive some of the best fights in boxing history by downloading the Ring Rivalries game mode. Included are over 20 classic match-ups each with unique boxer ratings reflecting the boxer’s status at the time of the fight. Change history or recreate it…it’s up to you in Ring Rivalries. EA SPORTS Fight Night Round 4 is truly the Return of the Champ, with an all new gameplay engine, truly unique boxer styles, including the debut of the legendary Iron Mike Tyson, EA SPORTS Fight Night Round 4 takes video game boxing and fighting to an entirely new level. There are no refunds for this item. For more information, see www.xbox.com/live/accounts. Download boxing legend Sonny Liston. This former heavy weight champion of the world was one of the most powerful punchers in the history of the sport. Available for use offline and over Xbox LIVE. 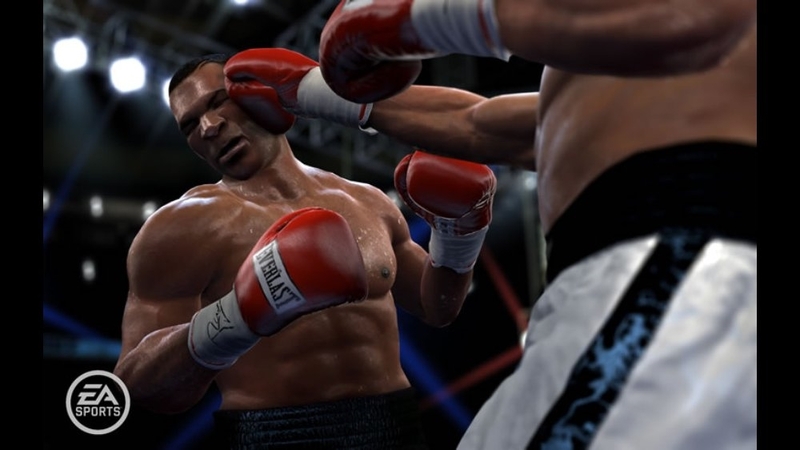 EA SPORTS Fight Night Round 4 is truly the Return of the Champ, with an all new gameplay engine, truly unique boxer styles, including the debut of the legendary Iron Mike Tyson, EA SPORTS Fight Night Round 4 takes video game boxing and fighting to an entirely new level. There are no refunds for this item. For more information, see www.xbox.com/live/accounts. 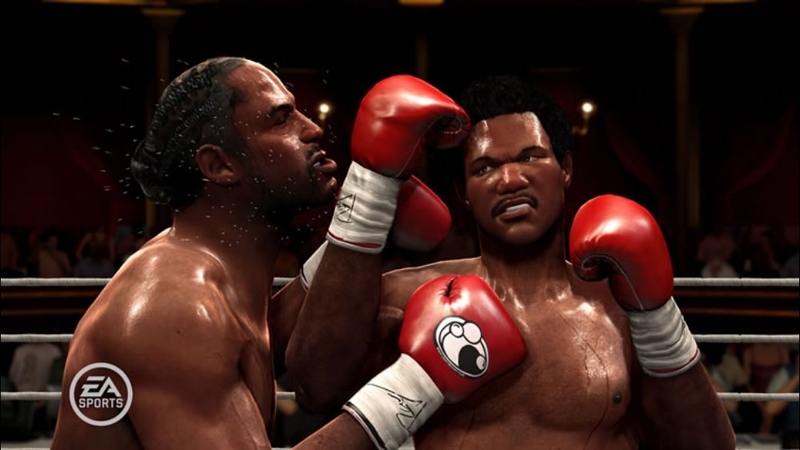 Download the Champions Pack II – Bundle and receive three of the greatest boxers of all time; Evander Holyfield, Bernard Hopkins, Sonny Liston, two brand new game modes; Ring Rivalries, and Old School Rules (Offline and over Xbox LIVE )…all for one low price. 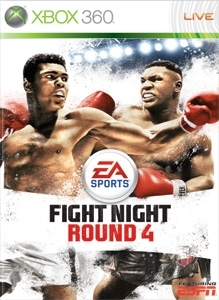 EA SPORTS Fight Night Round 4 is truly the Return of the Champ, with an all new gameplay engine, truly unique boxer styles, including the debut of the legendary Iron Mike Tyson, EA SPORTS Fight Night Round 4 takes video game boxing and fighting to an entirely new level There are no refunds for this item. For more information, see www.xbox.com/live/accounts. Fight like the champions of the past by downloading the Old School Rules game mode. Available for use Offline and over Xbox LIVE, Old School Rules simulates the common rules of boxing prior to the establishment of the Marquis of Queensbury Rules. 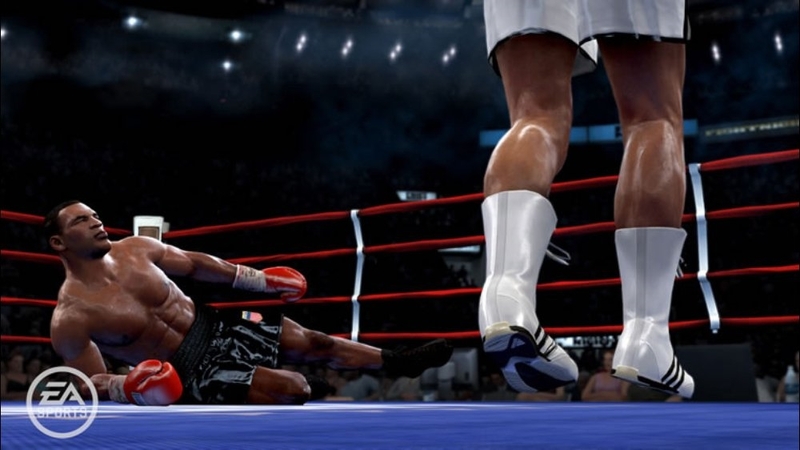 1-2 Players Offline and over Xbox LIVE Leaderboards Fight can only be won by KO No Ref stoppages for Cuts or Swelling Round stoppages after knockdowns only There are no refunds for this item. For more information, see www.xbox.com/live/accounts. Download boxing legend Bernard Hopkins. Known as the Executioner he holds the longest successful title defense streak in boxing history. Seemingly ageless Bernard can mix it up or outbox you … he is the complete package. Available for use offline and over Xbox LIVE. EA SPORTS Fight Night Round 4 is truly the Return of the Champ, with an all new gameplay engine, truly unique boxer styles, including the debut of the legendary Iron Mike Tyson, EA SPORTS Fight Night Round 4 takes video game boxing and fighting to an entirely new level. There are no refunds for this item. For more information, see www.xbox.com/live/accounts. Download boxing heavy weight legend Evander Holyfield. Few in boxing history “brought it” like the Real Deal did. He is a multiple world champion in multiple divisions. Available for use offline and over Xbox LIVE. 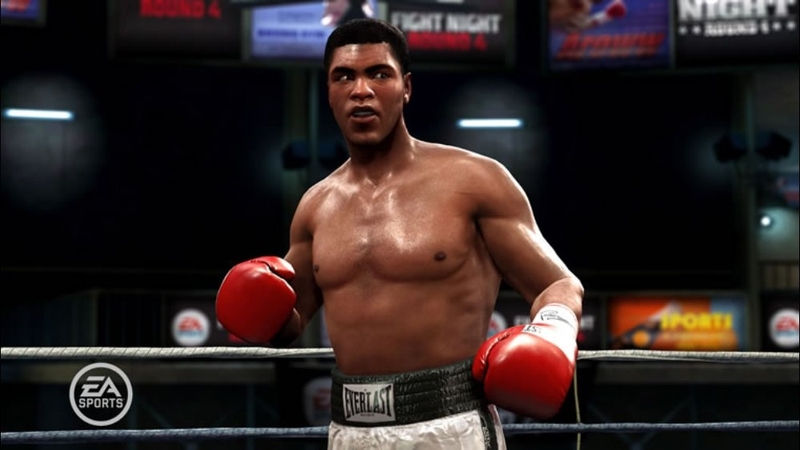 EA SPORTS Fight Night Round 4 is truly the Return of the Champ, with an all new gameplay engine, truly unique boxer styles, including the debut of the legendary Iron Mike Tyson, EA SPORTS Fight Night Round 4 takes video game boxing and fighting to an entirely new level. There are no refunds for this item. For more information, see www.xbox.com/live/accounts. Download the Olympic version of Sugar Ray Leonard for FREE. 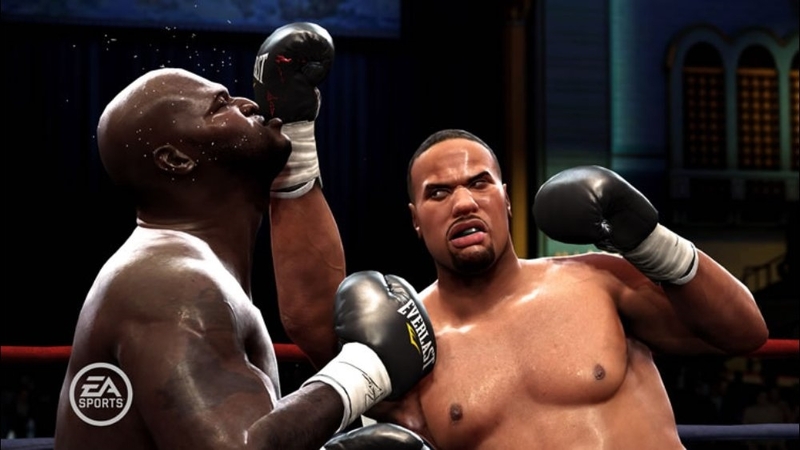 EA SPORTS Fight Night Round 4 is truly the Return of the Champ. 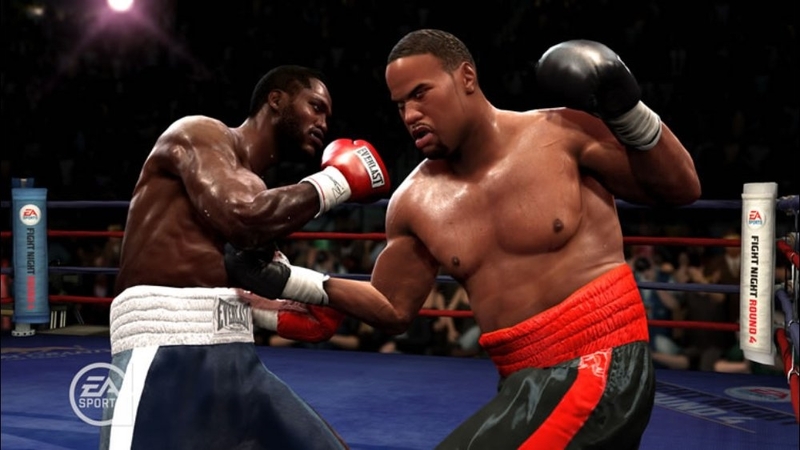 Building off EA SPORTS Fight Night Round 3, one of the best-selling and most critically acclaimed games to come out at the onset of the Xbox 360 hardware launch, EA SPORTS Fight Night Round 4 promises to be equally as ground-breaking and revolutionary. 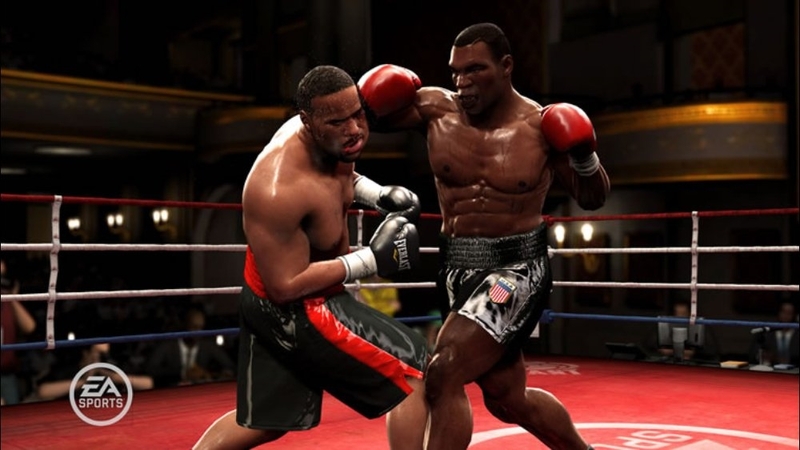 With an all new gameplay engine, truly unique and differentiated boxer styles, and the most impressive boxer roster ever including the debut of the legendary Iron Mike Tyson, EA SPORTS Fight Night Round 4 takes video game boxing and fighting to an entirely new level. 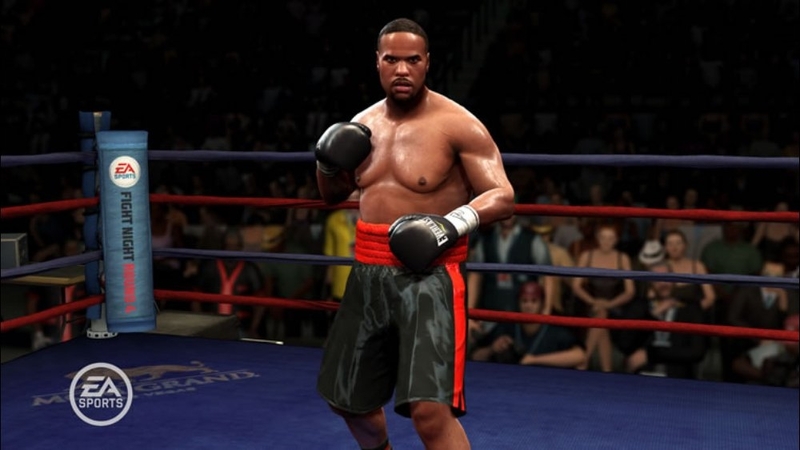 EA SPORTS Fight Night Round 4 is truly the Return of the Champ. Building off of EA SPORTS Fight Night Round 3, Fight Night Round 4 promises to be equally as ground-breaking and revolutionary. 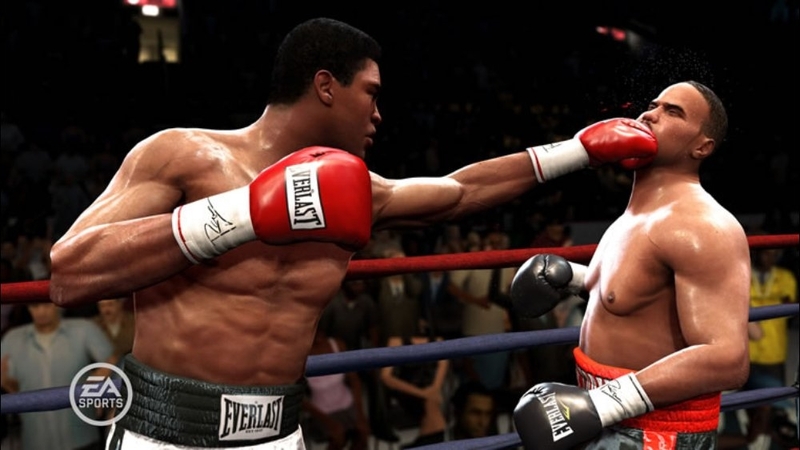 With an all new gameplay engine, truly unique and differentiated boxer styles, and the most impressive boxer roster ever including the debut of the legendary Iron Mike Tyson, EA SPORTS Fight Night Round 4 takes video game boxing and fighting to an entirely new level. Download the Fight Night Round 4 Free Gear and get new boxing trunks, boots and gloves. EA SPORTS Fight Night Round 4 is truly the Return of the Champ. 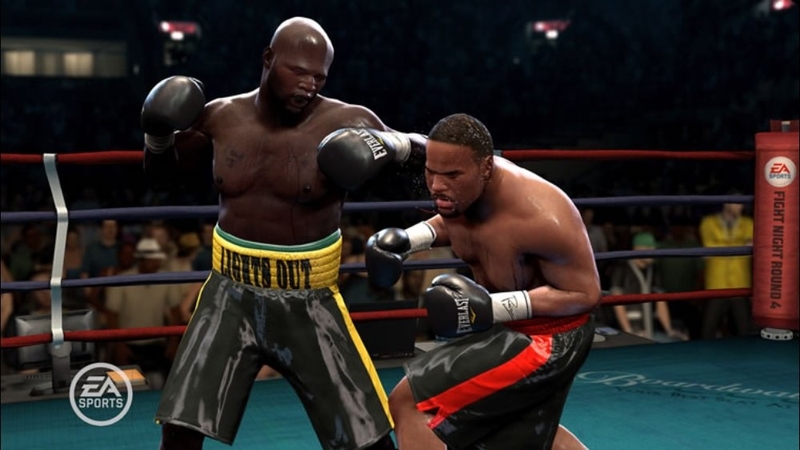 Building off EA SPORTS Fight Night Round 3, one of the best-selling and most critically acclaimed games to come out at the onset of the Xbox 360 hardware launch, EA SPORTS Fight Night Round 4 promises to be equally as ground-breaking and revolutionary. 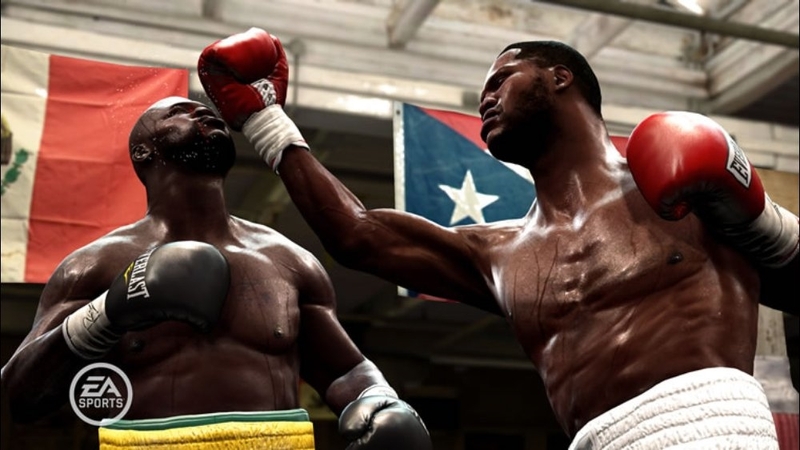 With an all new gameplay engine, truly unique and differentiated boxer styles, and the most impressive boxer roster ever including the debut of the legendary Iron Mike Tyson, EA SPORTS Fight Night Round 4 takes video game boxing and fighting to an entirely new level. 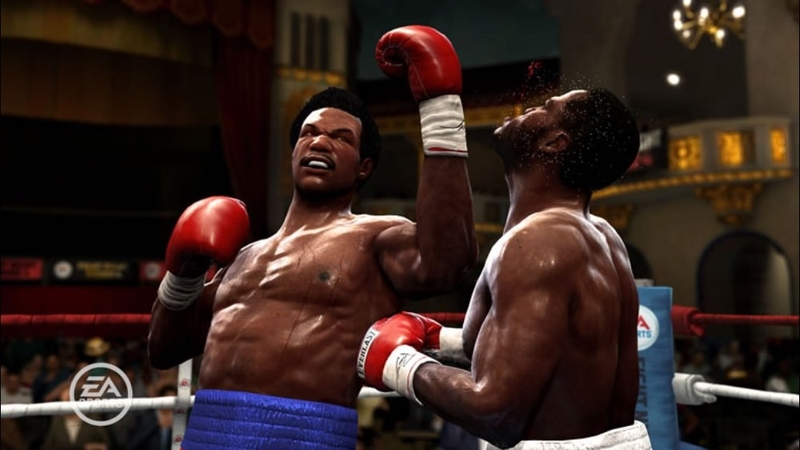 Download Fight Night Round 4 Downloadable Content 1 featuring Sponsored Tournaments, Additional Training Gym, New Gameplay Sliders, and additional apparel.